The Access Forum is, in it's physical form, a quarterly meeting for arts organisations, individuals, audience members, freelancers, creators, makers and everyone in between to get together and talk about access. On this group, we'll be sharing what we discuss at those meetings, the ideas we have, and any thoughts you might have on access. We're aiming to make everything we do more accessible to more people, and to share everything we do to help each other. Started by Megan Merrett Feb 8, 2018. Started by Rhian Lewis. Last reply by Rhian Lewis Oct 25, 2017. Started by Rhian Lewis. Last reply by National Theatre Wales May 31, 2017. Started by Rhian Lewis. Last reply by Rhian Lewis Feb 6, 2017. You need to be a member of Access Forum to add comments! Who's coming to Breaking Out of the Box 4: Wales - A Diverse Arts Scene? on Friday 16th February 2018 at Theatr Clwyd, Mold. It's a hynt and Taking Flight Theatre Company symposium in partnership with Theatr Clwyd. Breaking Out of the Box 4: Wales – a Diverse Arts Scene? This access symposium is hosted in partnership between Taking Flight Theatre Company, hynt and Theatr Clwyd. The event will bring together theatres, arts centres, performers, producers, companies and other creative professionals working across the performing arts to discuss how the arts scene in Wales can become more accessible and diverse. As well as an opening statement from Phil George, Chair of the Arts Council of Wales the symposium will feature a number of key note speakers who will give a presentation and put forward a provocation. Following each speaker there will be an open space where further questions can be debated in smaller break out groups. There will also be sessions on accessible marketing materials (tactile model boxes and audio / BSL flyers) and Running an Accessible Rehearsal Room. The ticket price includes lunch, teas and coffees. There is a reduced rate for individuals. Please contact me with any questions on 01446 401744 or megan@creucymru.com. Just so you know, I'm off on Maternity leave from tomorrow, so Jacob Gough from NTW will be taking over the running of the Access Forum while I'm away. Our next Access Forum is confirmed! Hoping to get an access forum booked in soon, so please send me any ideas or topics you'd like to discuss! It is definitely the ambition to have these meetings happening all over Wales, and the next one will hopefully be in Venue Cymru, North Wales in March. Since we depend on people giving us space for free, and finding people to help us run them, we're kind of in the position where we need to do some work to find those people and get them off the ground. There isn't any funding for the meetings either, but we're ambitious to make it a national thing. 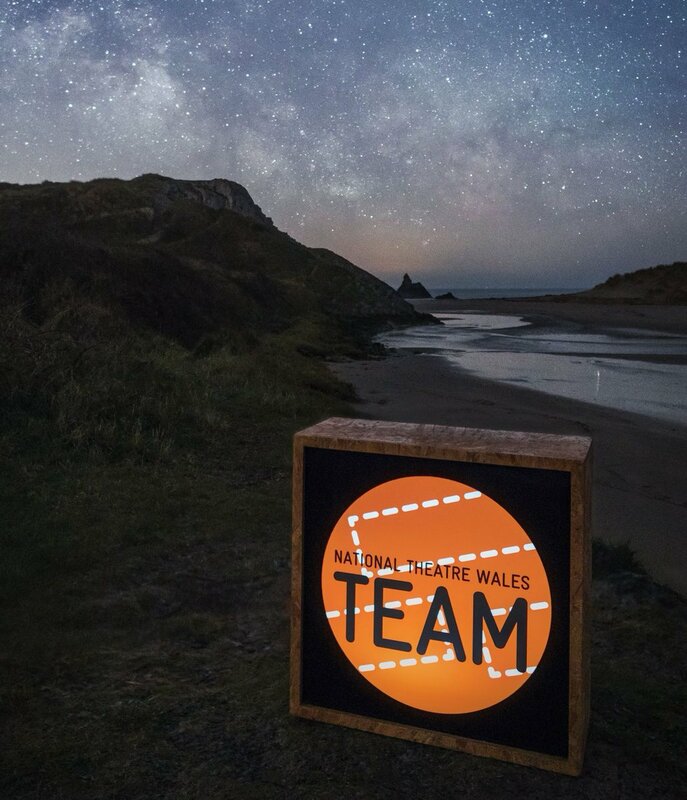 If you'd like to chat about it further and help me out in finding somewhere nearer you where we could do a forum, please drop me an email on rhianlewis@nationaltheatrewales.org and we can chat! The next access forum will be on Thursday February 2nd, with guest speaker Jo Verrent! Venue and time not confirmed yet, but it will be an early evening as ever. Looking forward to seeing y'all on the 7th at my first Access Forum (*hangs head in shame*). I've added the Walls:Muriau Symposium as an event on here. Would be great to see lots of you there as a precursor to this discussion on audience. The focus is on Mental Health, audience development and working practices for artists, audiences and arts professionals with mental ill health. Should be a great day of lively discussion. Details of speakers and panel on the event page. We've tried to keep it as cheap as possible and the cost includes your lunch.